Unified monitoring and real-time cloud security with AWS and ExtraHop. ExtraHop's award-winning solution for AWS provides customers the ability to detect potential threats or vulnerabilities, rapidly troubleshoot applications and services, and tune performance in AWS environments using complete visibility, real-time detection, and guided investigation. ExtraHop integrates with a wide variety of AWS services to complement cloud-native monitoring and security with advanced machine learning and packet-level visibility across your hybrid enterprise. ExtraHop integrates with AWS to help you achieve simple, powerful cloud security and performance monitoring. We provide complete east-west visibility, including into traffic encrypted with SSL/TLS 1.3, so you can maintain security compliance and protect your assets while determining exactly which workloads deliver application value. With real-time visibility and machine learning-driven anomaly detection, you can detect policy violations and breach attempts as they happen with the context you need to act fast. 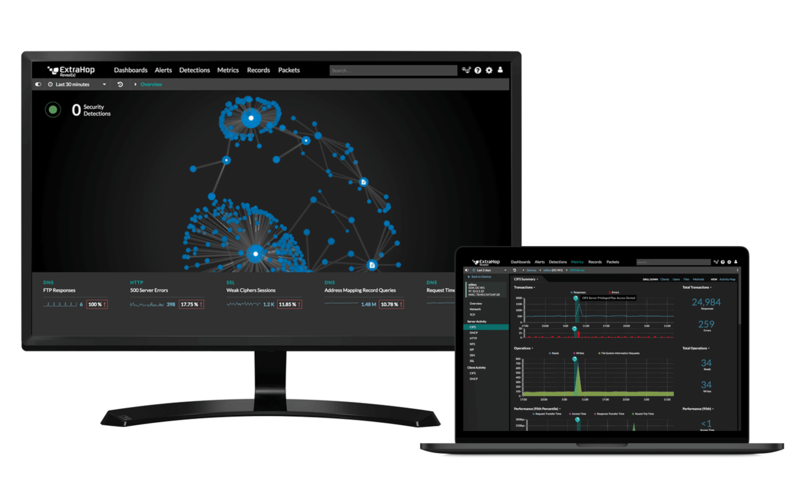 ExtraHop&apos;s unique approach to network traffic analysis helps our customers reduce time-to-resolve threats by over 50 percent and performance troubleshooting time by over 70 percent. 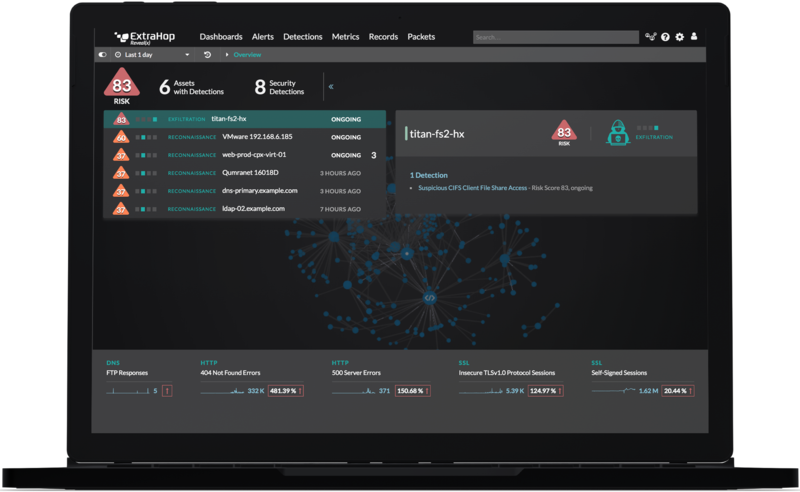 Not only can you rapidly detect and respond to potential threats and issues with your cloud-hosted applications, ExtraHop works with AWS and other integration partners to enable a robust suite of automated workflows including asset-based alerting, alerting on resource exhaustion, threat response, and more. Unlike cloud monitoring products that measure simple resource utilization, ExtraHop delivers full AWS transaction-level visibility painting a much clearer picture of our AWS environment.